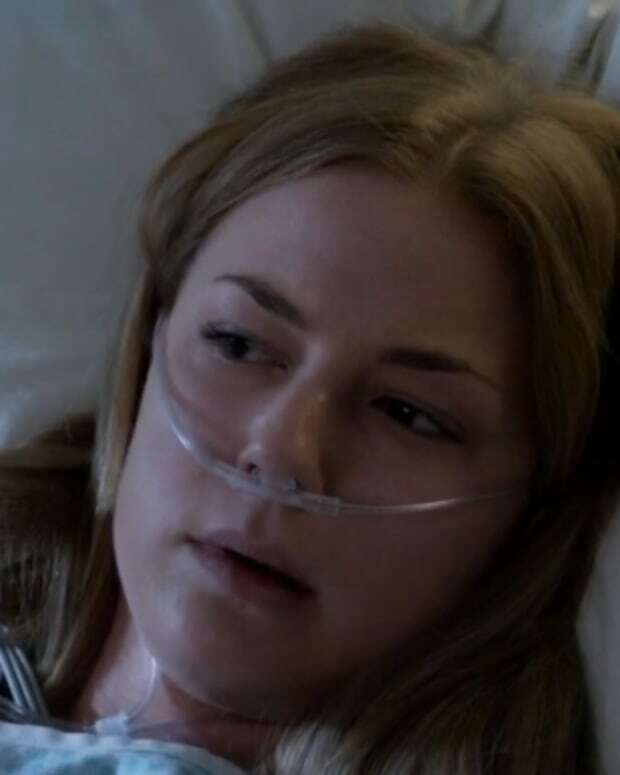 SPOILER ALERT: Fed up cuckold Daniel Grayson (Joshua Bowman) busted a cap in new wife Emily Thorne (Emily VanCamp) on Sunday night&apos;s midseason finale of Revenge. All season long we&apos;ve been teased with Emily getting popped on her honeymoon cruise. Pretty much the entire cast of characters were suspects at one time or another. My money had been on Daniel and Emily&apos;s trainwreck of a shared half-sister Charlotte Grayson (Christa B. Allen). She&apos;s been acting all shades of cray-cray so far this season. It was nice to actually be shocked by a soap&apos;s finale. Although the promo for the spring premiere gave much too much away! Anyhoo, were you as surprised as I was by Emily&apos;s shooter? 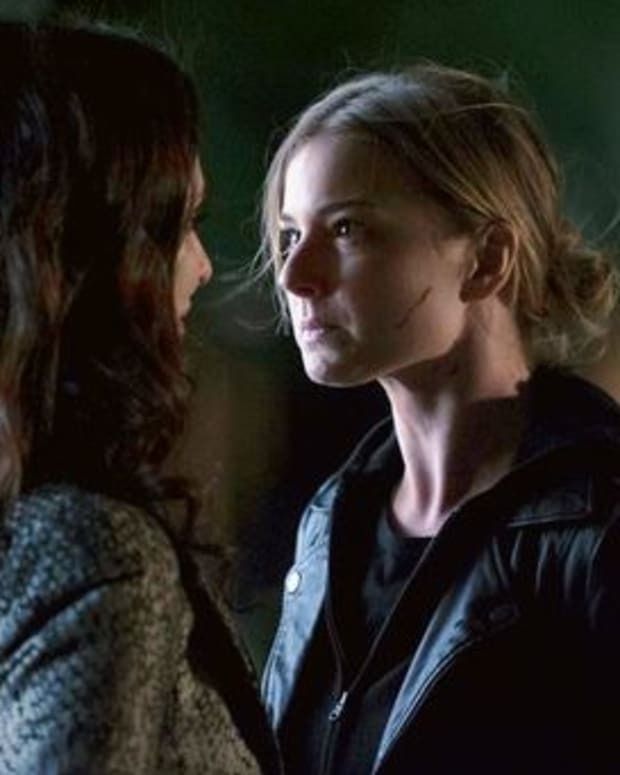 Did the identity of Emily Thorne&apos;s shooter on Revenge shock you?